Almost out of July and on to the monster releases of August, but there are still plenty of solid ps4 new releases to pick up this week, along with a few VR releases and a single Vita game to try out. For those on the PS4, time to revisit the Banner Saga or your favorite guy Mega Man. Maybe you just want to ride the rails as your favorite locomotive in Train Sim World. Please check out the full list of releases below. *Keep in mind that all release dates are subject to change, and more games/DLC will likely be added during the PlayStation Store updates in North America and Europe on Tuesday. For PlayStation VR game requirements, be sure to check out the product page before buying the PSVR game. 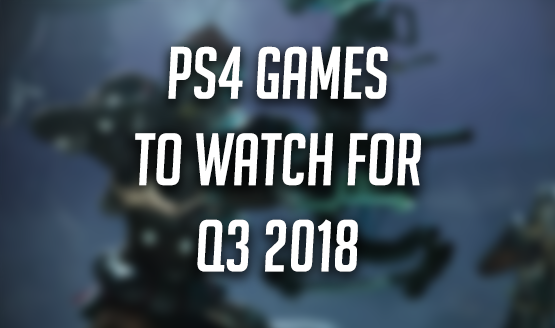 Let us know in the comments what PlayStation 4 games you plan to pick up this week, and if you’re excited for any of this week’s digital releases. Also, be sure to check our release date pages for July and August in order to stay on top of the upcoming PS4, PSVR, and PS Vita releases.